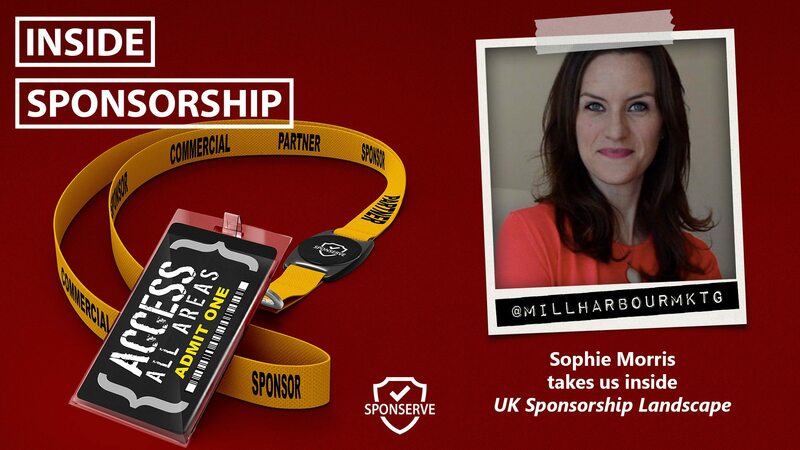 In this Inside Sponsorship episode, we speak with Sophie Morris, a Strategic Marketing Consultant at Millharbour Marketing Consultancy, about the UK Sponsorship Landscape. Sophie is a Chartered Marketer with 14 years’ marketing experience and has held various roles developing the game of rugby, including the RFU Rugby Growth Committee, the Rugby World Cup 2015 Activation & Legacy Group, the Management Committee of Essex RFU and being the Sponsorship Officer for her local club. Sophie managed the sponsorship of the Barbarians rugby team for four years for her previous employer and as a result made considerable contacts in the world of rugby and became a huge fan of the sport. So, as well as offering strategic marketing consultancy to clients, Sophie also advises on sponsorship strategy and sponsorship activation. Also in this episode, Mark and I continue our chat around which benefits should be aligned to the common sponsor objectives. This time around we look at Networking and Building An Audience. I also mention our Sponsorship Planner card tool which you can find more about, and order, here. I also mention two awesome case studies we recorded with two of our clients, the Newcastle Jets and Touch Football Australia. You can listen to them here.